Going to brew on Sunday, 15 gallons of a Lemon Coriander Wheat beer, a recipe I have been refining for a few years. I normally use Safale S-05 dry yeast, 2 packets for 10 gallons. But I have heard about (and tasted) some good wheat beers made with the Wyeast 1272 American Ale II strain. I will ferment 10 gallons of the batch with this strain, and the third carboy will get it’s normal dose of S-05. Since this is a liquid yeast smack pack, containing around 100 billion cells, I will need to effectively quadruple that for 10 gallons. A 4 liter starter will more than do the trick. If you aren’t sure how much yeast you need for a given beer/batch size, the pitching rate calculator here is a great tool to use. First, I prepare 4 liters of starter wort. I added .8 lbs extra light DME to 4 liters of water and boiled for 20 minutes. This gives an OG of about 1.035. 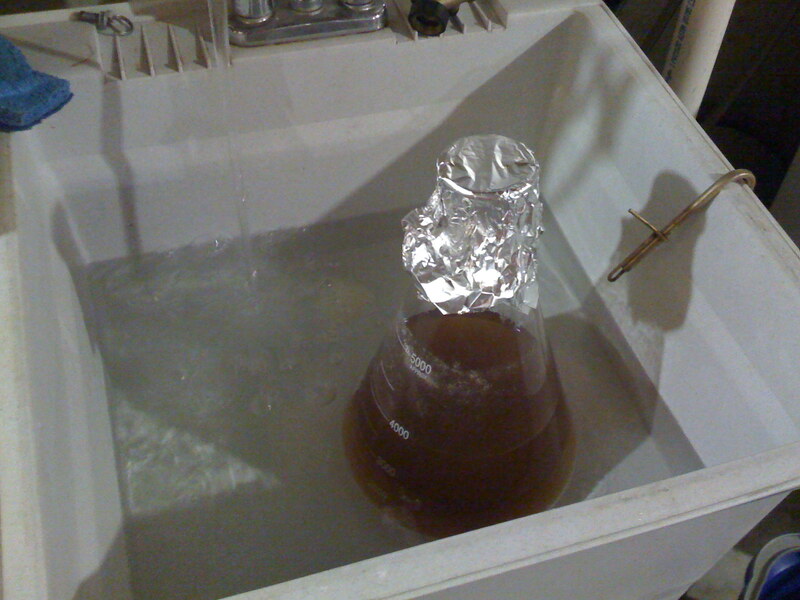 Next I chilled the starter down in a cold water bath. Took about 30 minutes to chill down to pitching temps. 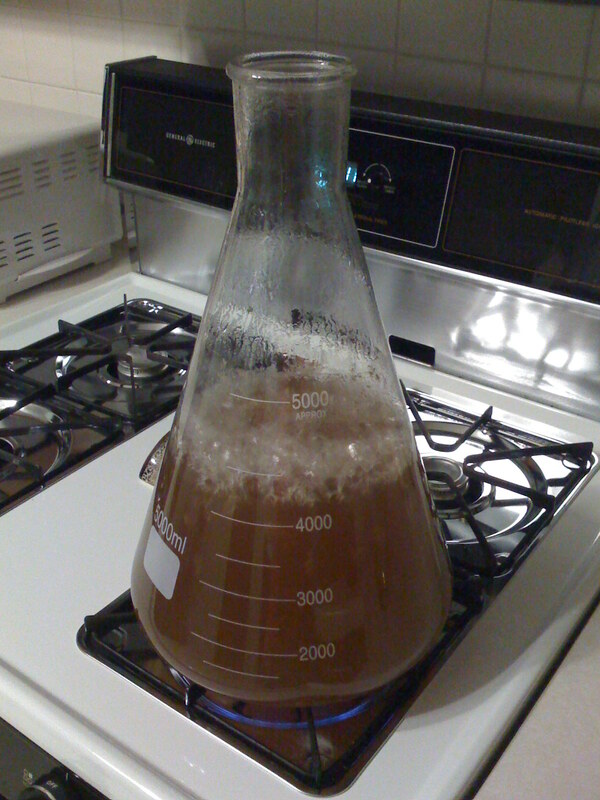 I added the stir bar while the wort was still hot in order to sanitize it. 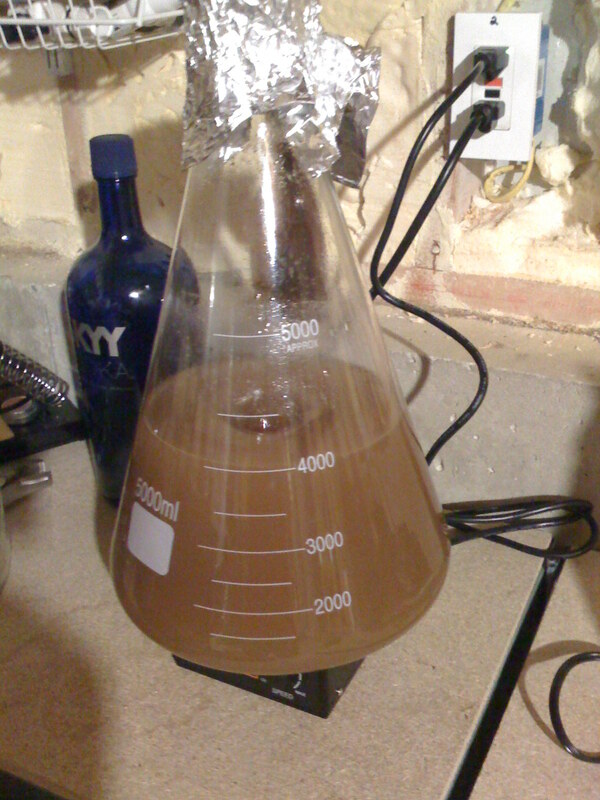 Finally, I pitched the yeast into the starter, and got it going on the stirplate. ~ by kungfool on April 22, 2009. 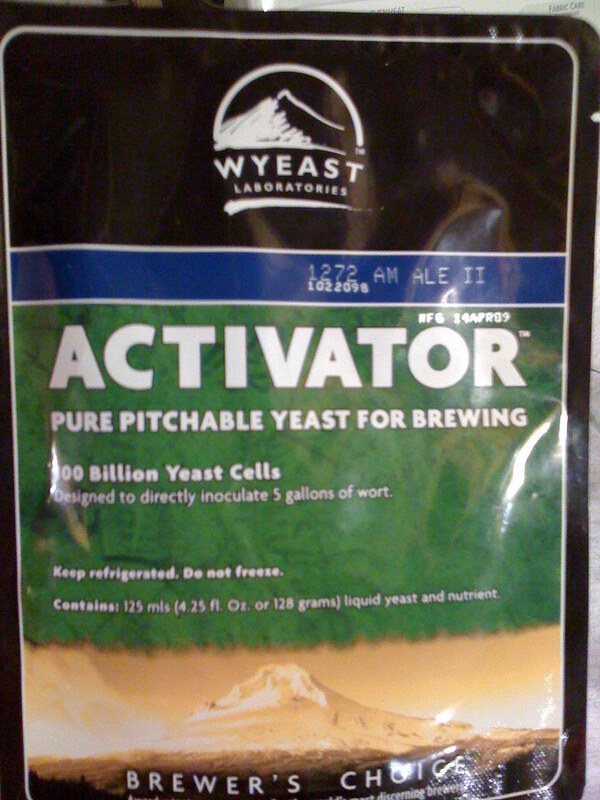 Your yeast shake brings all the boys to the yard. My yeast shake is better than yours.